The Trump administration has plans to enact significant policy changes. 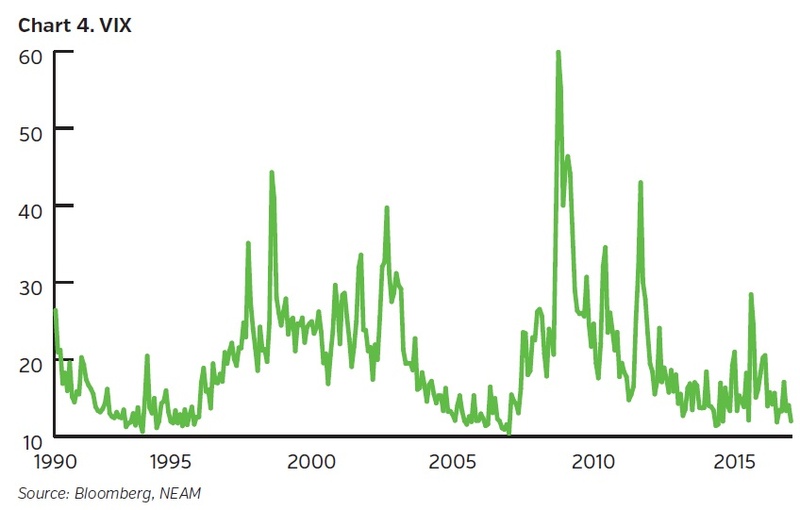 Insurers should anticipate some bouts of volatility. Bill is Chairman and CEO of NEAM, Inc. and a member of the Firm’s Policy Committee. He joined the Firm as Vice President in 2000, was made President in 2010 and became CEO in 2014. Prior to joining the Firm, Bill was a Senior Vice President of the Portfolio Management Group at Conning Asset Management and previously held various positions within the Investment Group and Asset Management Division at Travelers Insurance Company. Bill is a CFA Charterholder and a member of the Hartford Society of Financial Analysts. 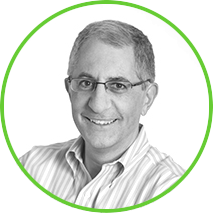 A graduate of Georgetown University, Bill also holds an MBA in Finance from the University of Chicago Graduate School of Business. Except for a two-year period when pursuing an MBA from 1988 through 1990, he has been employed in the investment industry since 1986. 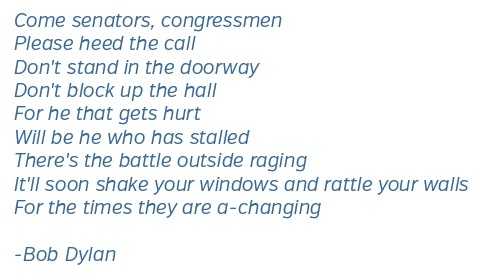 While Bob Dylan wrote these lyrics over 50 years ago, they seem to describe well the political climate of today. At a minimum, there is certainly a lot of window shaking and wall rattling going on. As we enter 2017, change is in the air. The new administration has plans to enact significant policy change in a number of areas. The capital markets are in the process of digesting and discounting these changes and we need to consider their impact on our interest rate outlook and fixed income strategy for the year. Nearly a decade from the global financial crisis, the U.S. economy continues to grow at a stable, albeit subdued rate. 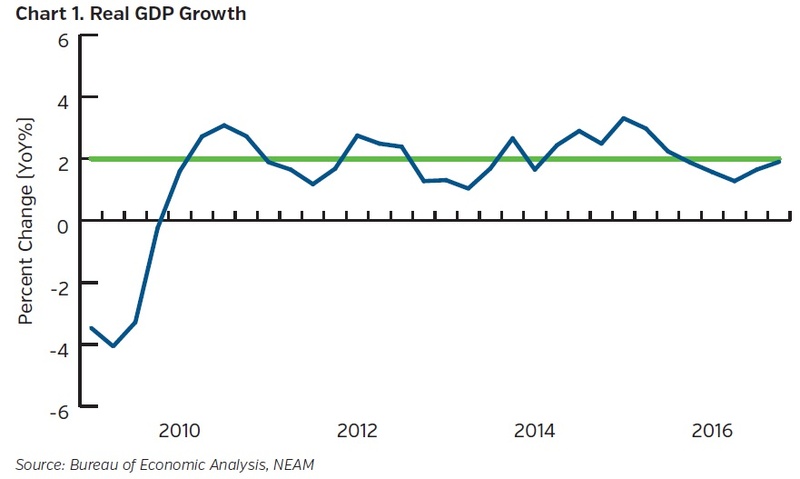 The influences of high debt levels, an aging population, low levels of labor force participation and a slowdown in China’s growth continue to act as inhibitors to overall GDP in the U.S., as the economy has been unable to break out of its 2% growth trajectory. In fact, in 2016 real GDP growth in the U.S. decelerated to a 1.6% annual rate. In addition, at 90 months and counting, the current expansion is clearly in a late cycle phase. The pace of job growth has slowed over the last couple of years as the unemployment rate dipped below 5% and major cyclical sectors of the economy, such as autos and housing, are hovering around peak levels. This is the economic backdrop that the Trump agenda now confronts. The Trump administration enters power with the stated objective of raising growth to the 4% level. This pro-growth agenda involves potentially significant change to major pillars of the country’s economy. The proposed changes are wide ranging in scope and potentially meaningful in impact. Consider the range of policies targeted by the Trump administration - lowering tax rates, a tax holiday for the repatriation of overseas profits of U.S. corporations, repealing and replacing the Affordable Care Act, a fiscal stimulus plan centered around an infrastructure program, renegotiating NAFTA and other trade arrangements, an overhaul of Dodd-Frank and other regulatory relief efforts, etc. Now that’s a big to-do list! On the surface, there are elements to the agenda that are decidedly pro-growth. Lower tax rates, fiscal stimulus and regulatory relief all have the potential to be catalysts for higher levels of economic activity. 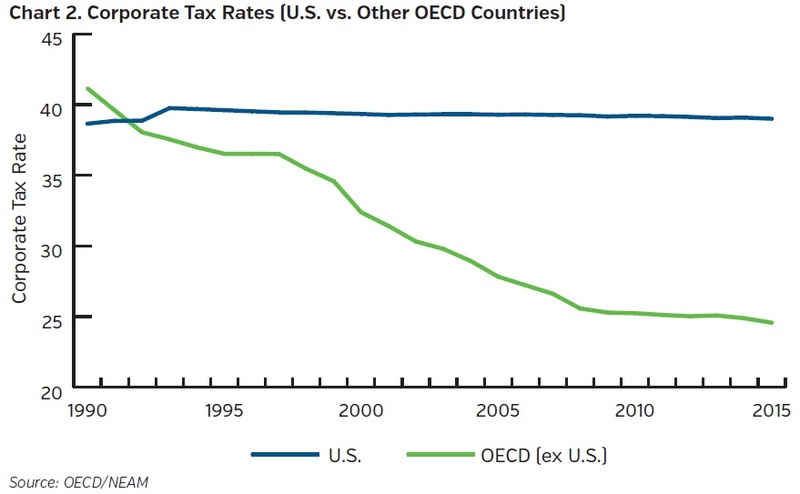 The U.S. maintains the second highest corporate tax rate in the Organization for Economic Co-Operation and Development (OECD) and there is an estimated $2.5 trillion of earnings of U.S. corporations that remain trapped in foreign jurisdictions. Putting more money in consumers’ and corporations’ pockets, providing financing for building projects and lowering barriers to doing business are generally all conducive to spurring activity. However, Trump’s views on trade policy have the potential to lower the level of both exports and imports and otherwise reduce economic growth in the U.S. and abroad. Trump has decidedly mercantilistic views on trade. To him it is a zero sum game. 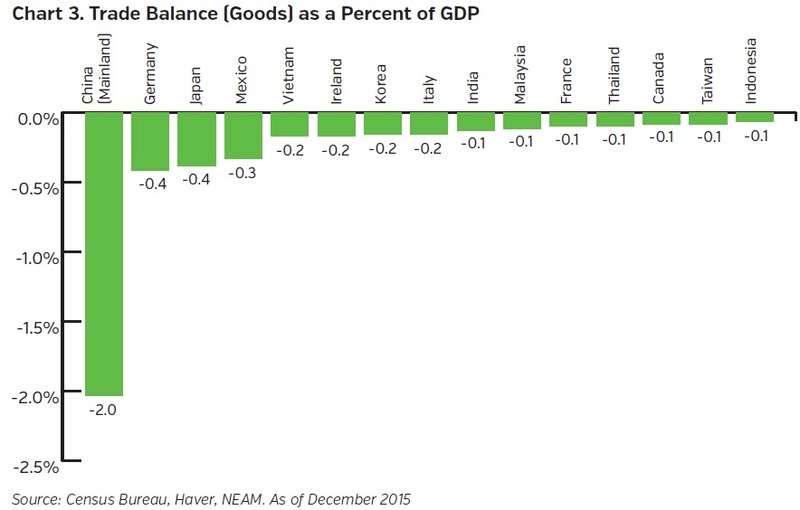 If the U.S. is running a trade deficit with a particular country, we are losing. The potential implementation of tariffs on major trading partners is decidedly anti-growth. It will likely result in retaliatory measures from the trading partners and, in the end, lower levels of activity for everyone involved. Look no further than the last time the U.S. enacted major tariffs on imports. In June 1930, the U.S. passed the Smoot Hawley Act which raised tariffs on over 20,000 imported goods from 40% to 60%. In the two years that followed, the volume of both imports and exports fell by 40% as other countries enacted their own protectionist measures or depreciated their currency. Finally, repealing and replacing the Affordable Care Act is most likely to create additional uncertainty. Without debating the merits of various elements of “repeal and replace,” it is clear that the issues are complex and that new legislation will be politically polarizing. The outcome of which is likely to be an extended period of transition and/or lack of certainty regarding healthcare policy in the U.S.
All of this leads us to our main point. There is a lot of potential change in the system and with change comes uncertainty. None of this will be easy. None of this will be smooth. While we can speculate about the long term effects of these policy changes, the one inevitability is near term ambiguity as these policy measures are deliberated, enacted and implemented. Since Trump’s election, we have seen an increase in interest rates and a meaningful rally in equity prices as markets adjusted to the potential for higher levels of growth and/or inflation. With the scope of change on the agenda, however, our view is that investors should be demanding a premium for the uncertainty that comes along with change. Surprisingly, this is not the case. 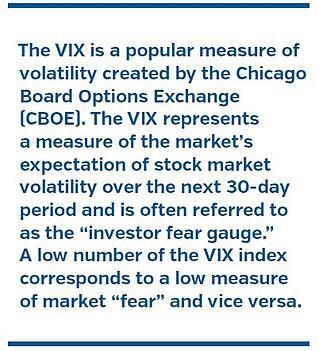 Consider the VIX index which shows a high level of complacency with respect to the current situation. It appears as if the markets are taking all of this in stride for the moment. Our view is that change breeds uncertainty and that uncertainty will beget volatility – volatility in prices and volatility in yields. As markets continually recalibrate the impact of policy changes coming out of Washington, insurers should be prepared for bouts of volatility that will create opportunity. For now, enjoy the higher reinvestment rates that have been created but be sure to carry enough dry powder into the coming environment. Don’t just hope that the answers are blowing in the wind. The Trump administration would like to raise the growth rate of the U.S. economy to 4%. This seems like a significant challenge given that underlying influences, such as debt levels and demographics, are keeping base line growth in a 2% range. Some elements of the Trump agenda are pro-growth, such as tax cuts, deregulation and a looser fiscal policy. However, the potential changes to trade policy are decidedly negative for economic growth. Overall, the scope and magnitude of change that is being promoted by the Trump administration is significant. Insurance companies should be prepared to take advantage of market volatility in 2017 by holding “dry powder” in the form of floating rate assets and other securities that can be easily liquidated with no or limited realized losses in the event of sizable market movements.